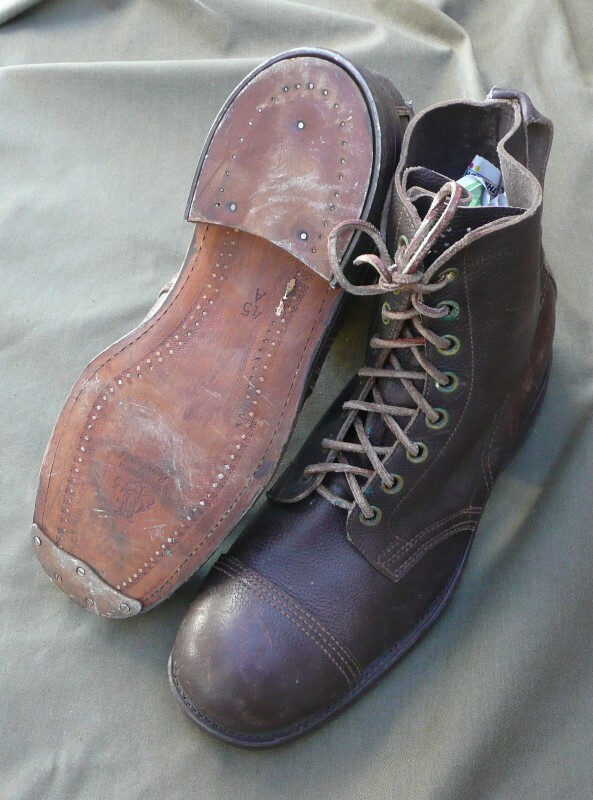 LARGE LOT OF USED WEST GERMAN "JACK BOOTS"
Several years ago these Boots were all over the place, but for years the old lots have been sold out! 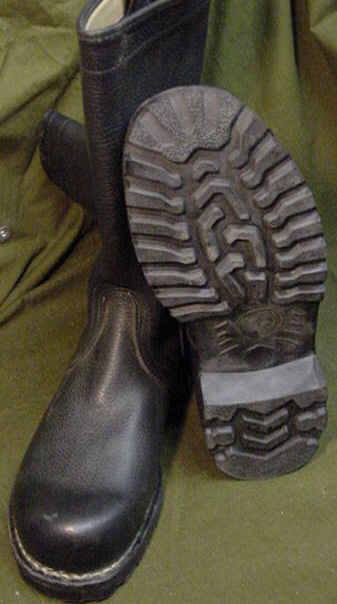 We have been very fortunate to find some of these "JACKBOOTS" Available, and have bought them all! 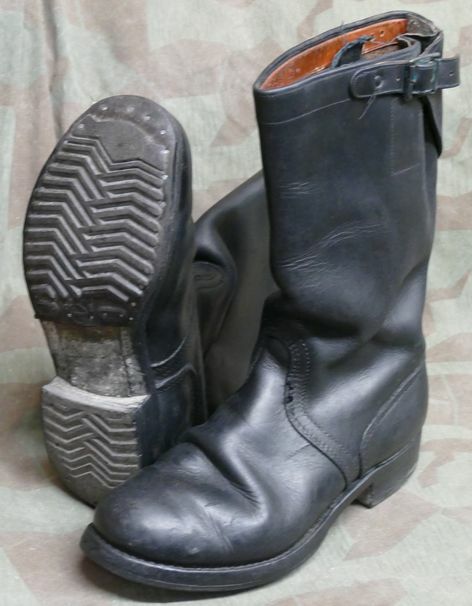 The Boots have all been recondition, with rubber soles, The rubber can be pulled and resoled in Leather. 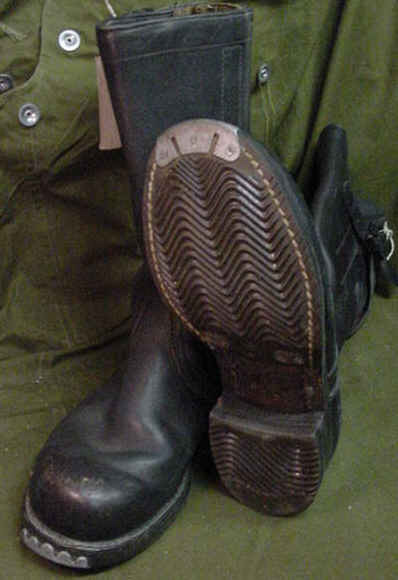 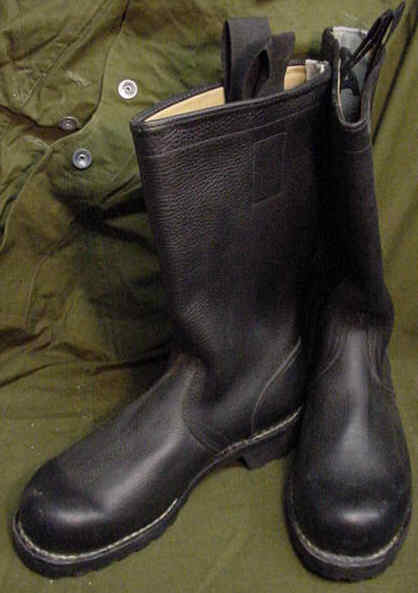 and side gussets can be closed as well to conform to WWII Jackboots. 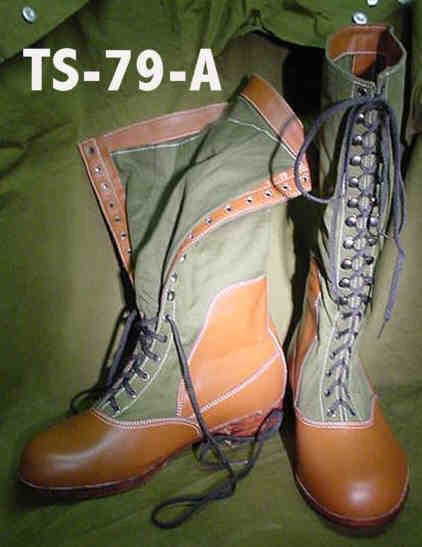 Sizes range from 7,8,9, only, no bigger sizes left! 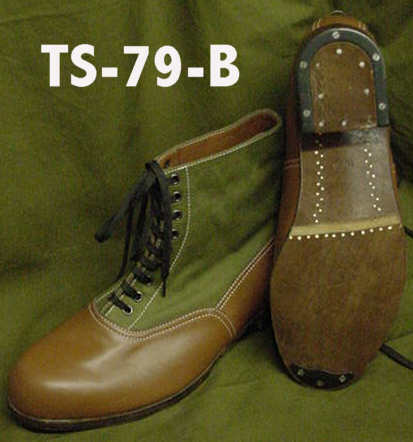 if you fit these sizes, you now to can be a stormtroopers big time!